A version of the Pesaḥ Haggadah with full cantillation. . . .
A meditation which can be used to prepare for Pesaḥ, or for sharing at the Seder, to deepen the experience of liberation for yourself and others. . . .
A Torah reading of Parashat Metsora in English translation, transtropilized. . . .
A reading of Shir haShirim (the Songs of Songs, a/k/a Canticles) with English translation, transtropilized. . . .
A Torah reading of Parashat Tazria in English translation, transtropilized. . . .
A public ceremony for celebrating the Gender Affirmation and Name Change of a man, woman, or non-binary person. . . .
A Torah reading of Parashat Sh’mini in English translation, transtropilized. . . .
A Torah reading of Parashat Tsav in English translation, transtropilized. . . .
A prayer for universal peace offered by Hillel Yisraeli-Lavery as an opening prayer to a talk given in Hamilton, Canada by 2011 Nobel Prize winner Leymah Gbowee. . . .
A prayer written in response to the massacre of Muslim worshipers during Friday prayers in Christchurch, New Zealand. . . . 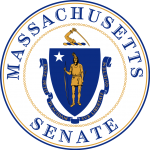 The opening prayer of the Massachusetts State Senate on 24 March 1959, added to the record of the U.S. House of Representatives. . . . The Opening Prayer given in the U.S. House of Representatives on 12 March 2019. . . .
A public reading offered by Rabbi Arthur Waskow for the Fast of Esther in response to recent events in the State of Israel by the right-wing government of Bibi Netanyahu admitting Jewish fascists into their administration. . . .
A Torah reading of Parashat Vayiqra in English translation, transtropilized. . . .
A prayer in solidarity with the Greater Iowa City Church of the Nazarene, whose building was the target of hateful vandalism. . . .
A prayer on praying, singing, and Torah learning by Rabbi Mordecai Kaplan. . . .
A prayer for Israeli-Palestinian solidarity to mitigate the danger that comes when our particular identities greatly eclipse our universal identity as Bnei Adam. . . .
A prayer for human solidarity to mitigate the danger that comes when our particular identity as Bnei Yisrael greatly eclipses our universal identity as Bnei Adam. . . .
A Torah reading of Parashat Ph’qudei in English translation, transtropilized. . . . The Opening Prayer given in the U.S. House of Representatives on 16 June 2010. . . . The Opening Prayer given in the U.S. House of Representatives on 5 April 2011. . . . The Opening Prayer given in the U.S. House of Representatives on 24 May 2011. . . .
A Torah reading of Parashat Vayaqhel in English translation, transtropilized. . . .
A prayer of thanksgiving for when it snows in a land needing snowfall (and ultimately, snowmelt). . . .
A prayer of thanksgiving for when it rains in a land needing rainfall. . . . The hafatarah reading for Parashat Ki Tissa in English translation, transtropilized. . . .
A Torah reading of Parashat Ki Tissa in English translation, transtropilized. . . . Suggestions for chaplains on offering public prayers in interfaith settings. . . .
A Megillah reading of Esther with English translation, transtropilized. . . .
A memorial prayer for service members lost in times of war, given by a chaplain who sacrificed his life for others during WWII. . . .
A Torah reading of Parashat T’tsavveh in English translation, transtropilized. . . . The Opening Prayer given in the U.S. House of Representatives on 6 February 2019. . . .
A Torah reading of Parashat Terumah in English translation, transtropilized. . . .
A Torah reading of Parashat Mishpatim in English translation, transtropilized. . . . The poem, “Psalm of Gratitude” by the Jewish poet and educator, Ben Aronin. . . .
One of the great things about Pesukei and Kabbalat Shabbat is that it enhances our feeling of holiness, that what we’re about to do is outside the secular world we’ve just left. Minḥah is the shortest service, and usually gone through the fastest. But it is still a spot of holiness in our afternoons, and we should keep that in mind. I hope that this text can help us remember that we can always take a break from our day to access some afternoon holiness. . . .
A kavvanah for affirming one’s Jewish identity in a mikvah before immersion. . . .
A Jewish Prayer for Graduation and an Interfaith Meditation on Wisdom and Learning, by Rabbi Jonah Rank (2010) . 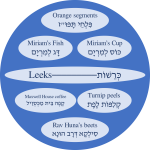 . .
A Torah reading of Parashat Yitro in English translation, transtropilized. . . .
A Tu Bishvat Seder Haggadah prepared for a time when the Jewish New Year’s Day festival for trees coincides with a total lunar eclipse, as occurred in Tevet 5779 (January 2019). . . .
A Tu Bishvat seder haggadah by Ellen Bernstein (1988, revised: 2017) . . .
A Torah reading of Parashat B’shalaḥ in English translation, transtropilized. . . . The hafatarah reading for Parashat Bo in English translation, transtropilized. . . .
A Torah reading of Parashat Bo in English translation, transtropilized. . . . Prayer of Thanksgiving on the Occasion of the 70th Anniversary of the National Society for the Prevention of Cruelty to Children, to Be Recited on Sabbath 22nd May 1954 / 19th Iyyar 5714 after the Prayer of the Queen and the Royal Family (London: 1954, Office of the Chief Rabbi) . . .
A Torah reading of Parashat Va’era in English translation, transtropilized. . . . Categories: Rosh Ḥodesh | Tags: 20th century C.E., hymns of creation, 58th century A.M.
“God the Life of Nature” by Rabbi Mordecai Kaplan was first published in his Sabbath Prayer Book (Jewish Reconstructionist Foundation 1945), p. 382-391, where it appears side-by-side with its translation into Hebrew by Abraham Regelson. . . . The service in 1953 by the S&P Synagogue (Bevis Marks, London) in celebration of the coronation of Queen Elizabeth II of the United Kingdom and British Commonwealth. . . . The Opening Prayer given in the U.S. Senate on 15 September 2011. . . .